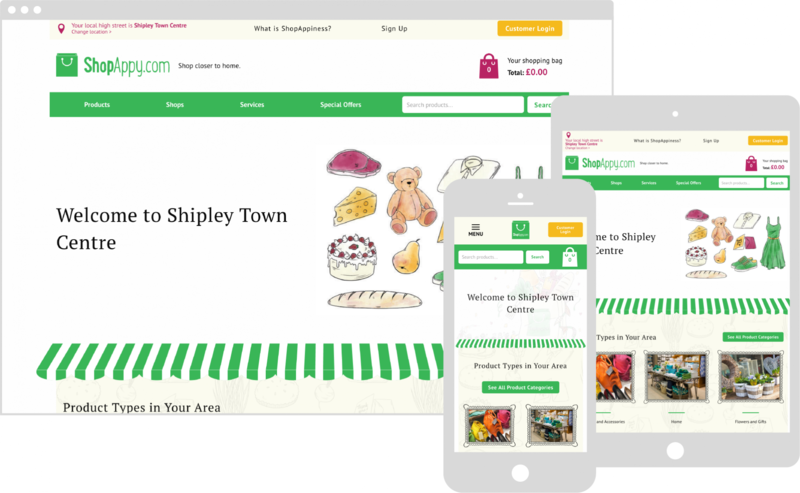 ShopAppy is a social enterprise in which the main goal is to save our high streets and local shops. 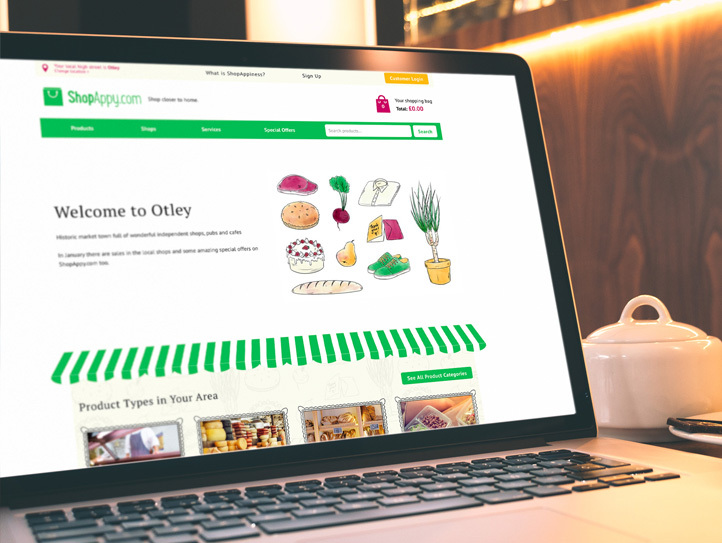 The brief was to create a marketplace where customers could shop online from one website, then go to their local high street and pick up their shopping from one or multiple independent stores,. 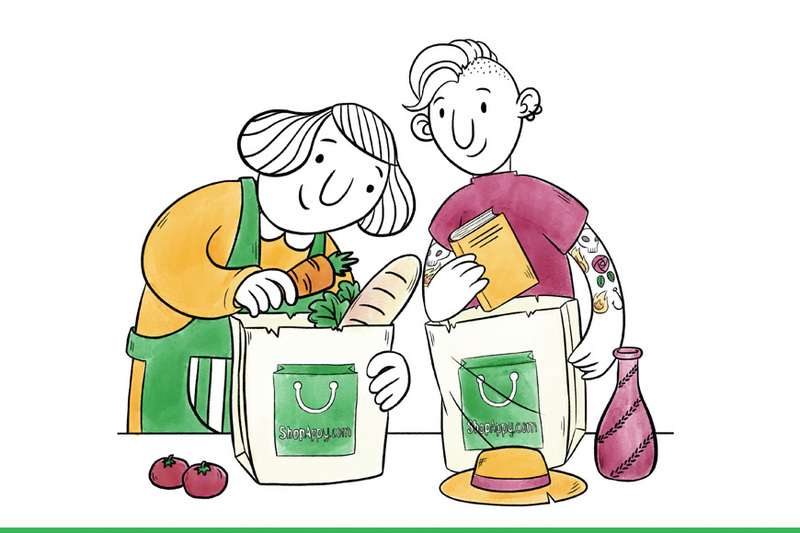 This makes it easy to buy produce from local businesses, and gets footfall into the shops themselves, through click and collect. 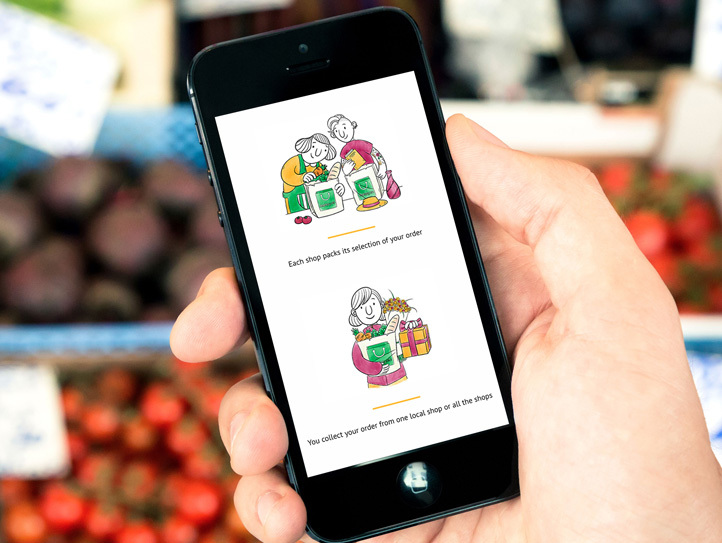 To do this we needed to create something that would change shopping behaviour. We created a complex and feature-rich site of massive proportions, that was simple for local vendors to use as an online marketplace. Getting the balance right took careful planning, and we produced a great long-lasting solution. 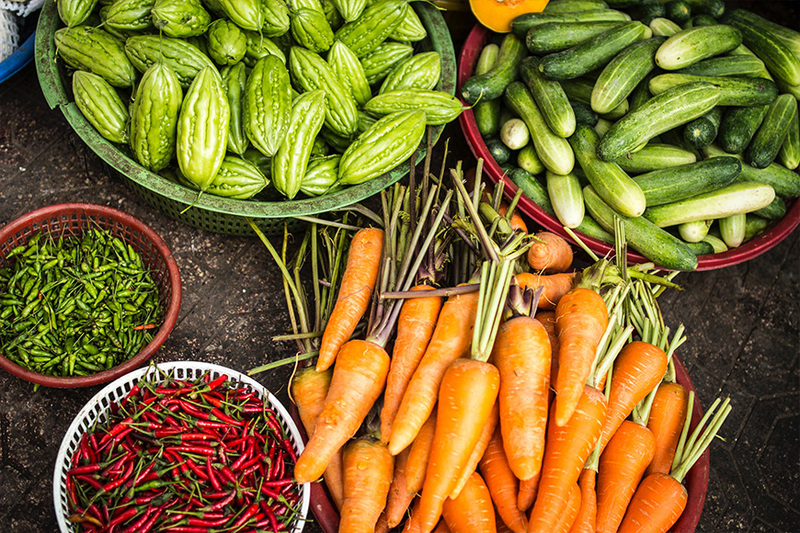 We designed the site to emulate the feel of a local greengrocers, while accommodating various types of content in a clear and engaging way. The bright green colour palette suggests natural and organic, and goes hand in hand with the brand’s happy outlook. 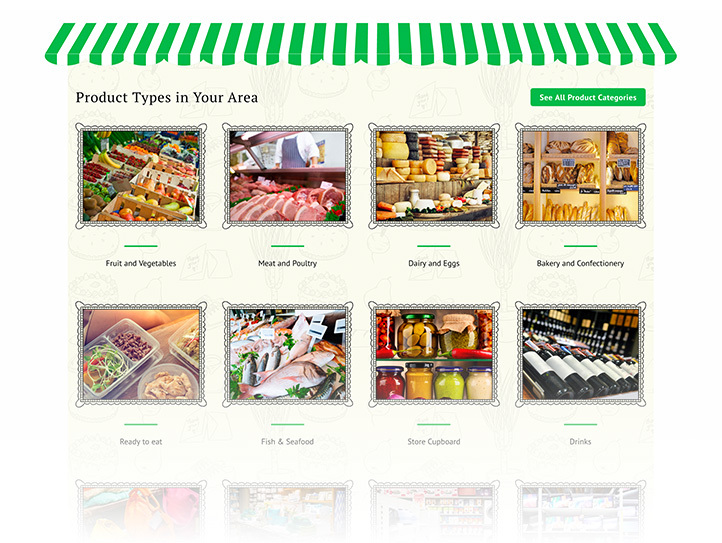 Shopping local and ShopAppy are both about having a personal experience. 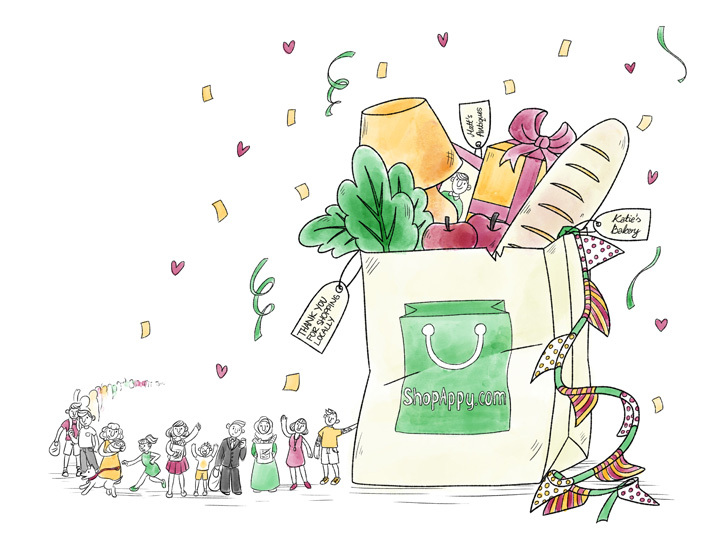 We hand-drew ink lineart and watercolour wash illustrations to communicate what ShopAppy is about in a visually engaging way. We illustrated decorative elements, like background textures, to further mirror the hand-crafted independent businesses. ShopAppy is a marketplace like eBay, but tailored to local, independent businesses. 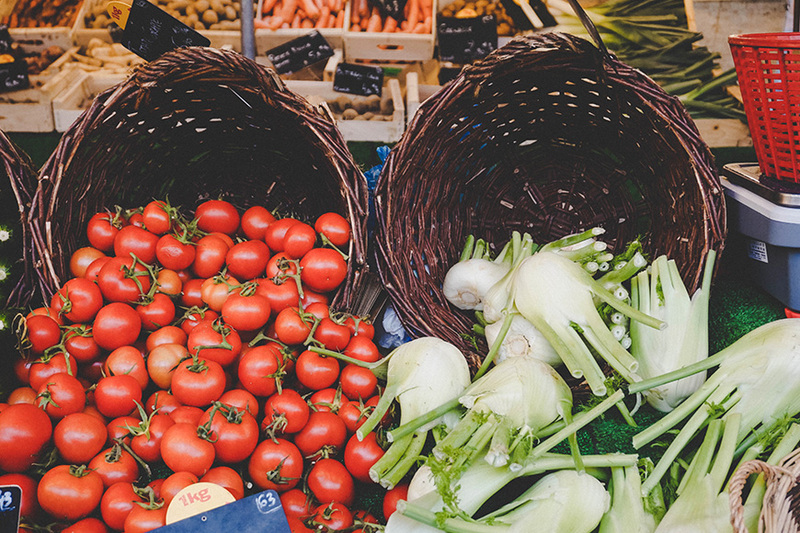 We configured the Unirgy Marketplace extension to transform Magento into a multi-vendor marketplace at a low cost, allowing vendors to sell anything from fresh fruit to French farmhouses! Ease of use was an important factor when creating the vendor portal. 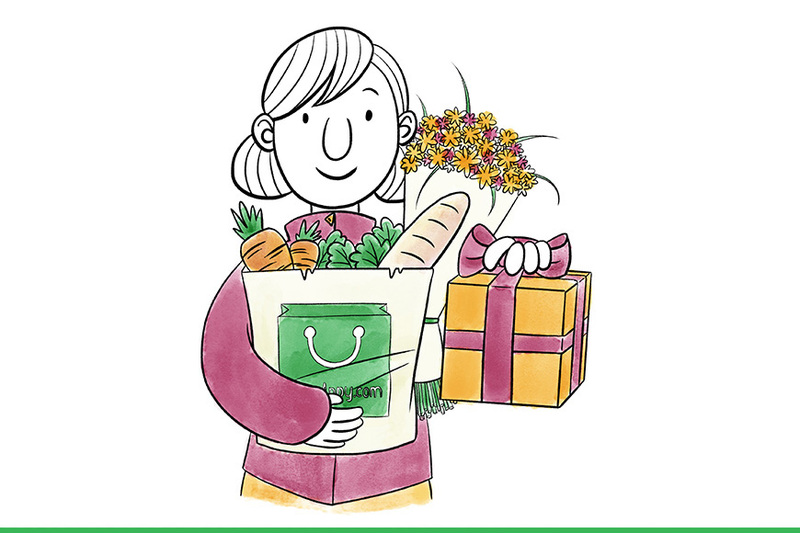 Every shopkeeper (with varied digital experience) on ShopAppy uploads their own products; this is also where they receive their orders and click and collect dates / times. It was a huge challenge to create something that catered to all abilities but still got the job done. With multiple areas, differing store trading times, and collating orders from multiple shops to one pick-up point, the checkout was always going to be tricky. 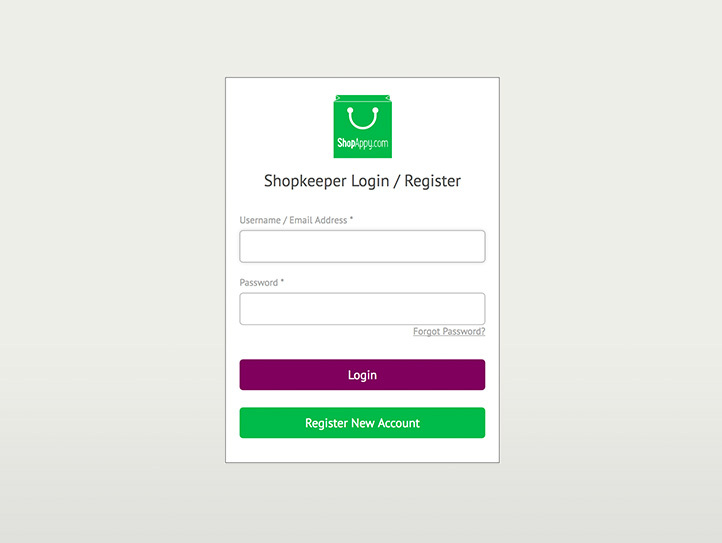 We customised a one step checkout to display available opening times and click and collect options – a complex build that takes milliseconds to load on the front-end. 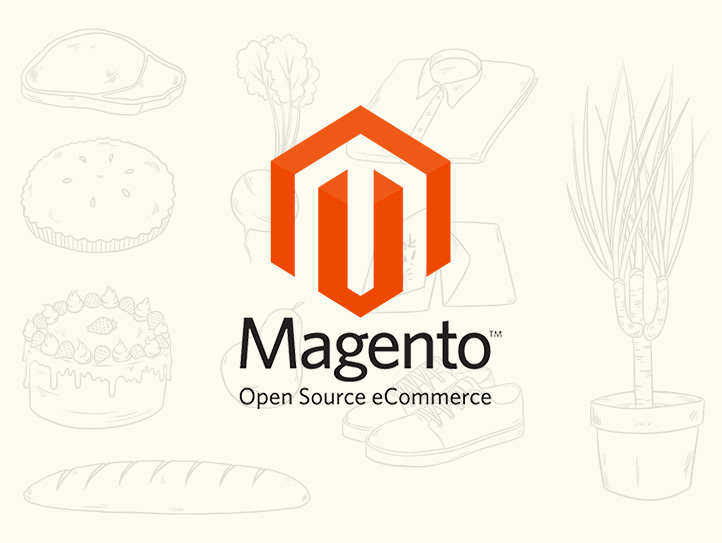 Magento was perfect in providing a flexible, powerful eCommerce solution on an established platform. The homepage, category, and search results pages are heavily customised to only show content from the specific area the customer has selected, including the welcome message, vendors, products, and custom filters.